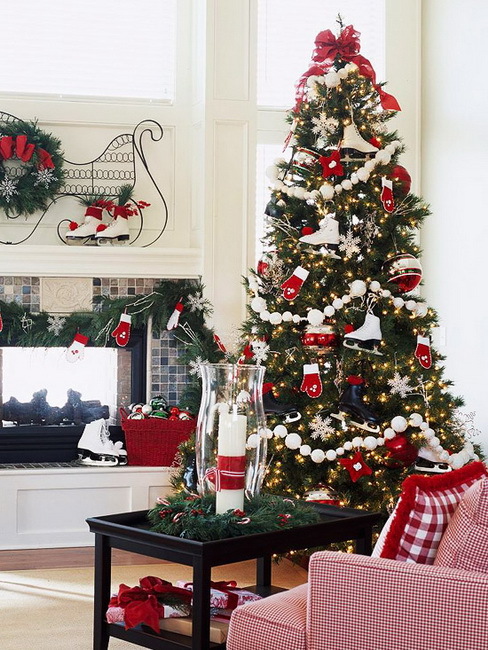 Creating a beautifully decorated home for the Holidays doesn't need to be difficult. In fact, the simpler you keep it the more elegant and graceful it will look. Let's start with the tree since for most people this is a necessity, even if they don't do anything else. A real tree is very traditional and the scent alone brings back happy memories for many people. If you can get one easily, and if you have room for one, then this is a great option. However for many people for a variety of reasons this isn't practical. 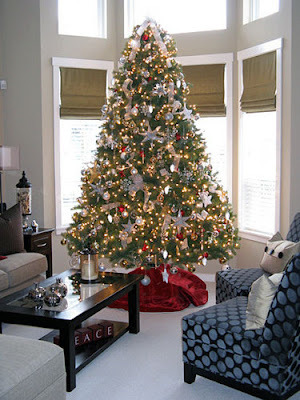 These days there are many artificial trees that look just as good as the real thing with a lot less mess and bother. For many years when our children were young we always had a real tree. I loved the scent of the pine and this was one of the reasons I fought for a long time against getting an artificial one. But now I find I can get the same scent when I decorate the rest of the house with fresh greens, and it's a lot easier to clean up after the Holidays. If this option is for you, there are many available, including trees with lights already attached. This is what we have now and it's a great option. 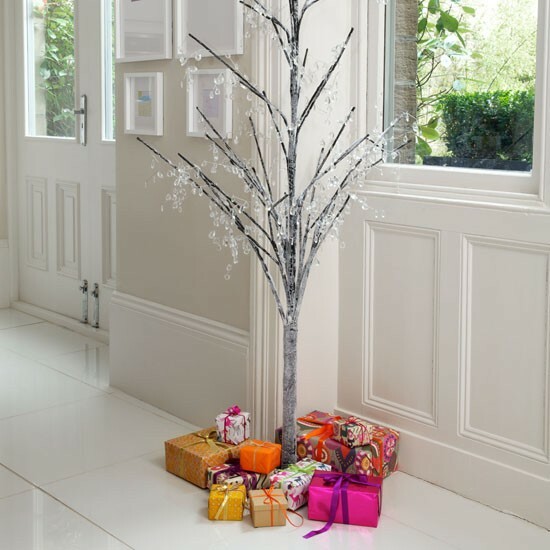 You just pull it out of the box, put the parts together, rearrange the boughs a bit to make it look more realistic, and plug it in - quick, simple and easy. These trees come in different colours, sizes and price ranges. Once you have the tree the next step obviously is to decorate it. There are several ways you can go about doing this. 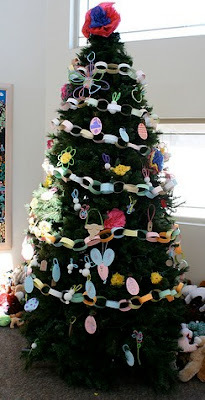 If you have small children, allowing them to make decorations for the tree can be a great experience for them and a money saver for you. A tree with lights on it can just be covered with paper chains and paper decorations and it will still look great. You can always choose the colours so you don't end up with anything too garish! Often just the simplest things can be the most effective, and even the smallest child can create something to be treasured. It's a great way to create memories for them and for you. Years from now when your children are gone, you can pull out these decorations and instantly be reminded of all the fun you had making them together. 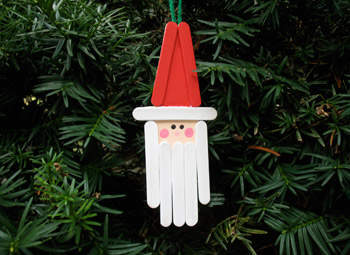 Here are a few sites to check out with some ideas for tree ornaments you and your kids can make. For an older more sophisticated tree, the best thing is to choose one or two colours from the room and use those. The room where we keep our tree has lots of yellow and red with chrome finishes, so I decorate my tree in red, gold and silver. To keep the theme going and give a really nice professional look, stock up on wrapping paper and ribbon in those colours as well and distribute it to your family. 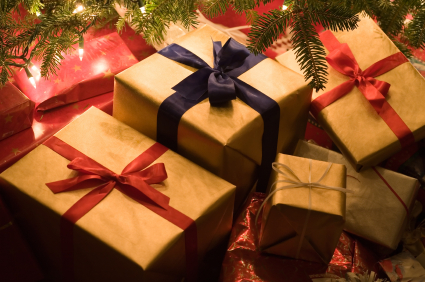 That way your gifts will match your tree. Alternatively, you can always use plain brown or white paper and just wrap the gifts with ribbons that match the colours on your tree. For gift givers with limited wrapping skills, I always keep a few boxes with ribbons attached as well as some gift bags. 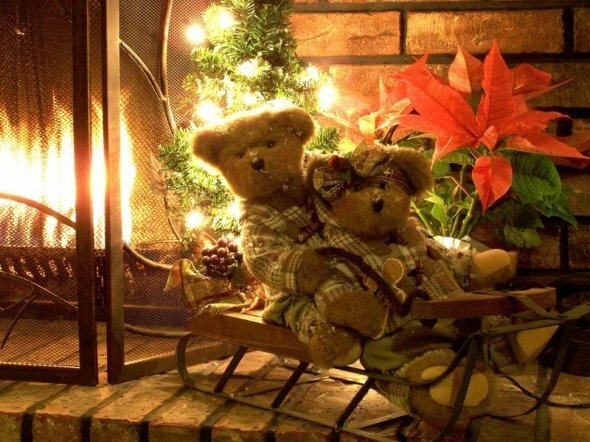 Even though these required a bit of an investment, since they are re-used every year for family gifts they have worked out to be very economical. 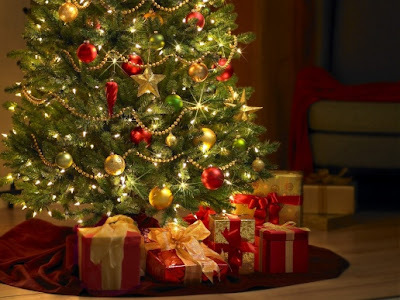 Those who hate to wrap gifts are happy, and the tree always looks nice. The rest of the house should be decorated according to the theme you have started with your tree. 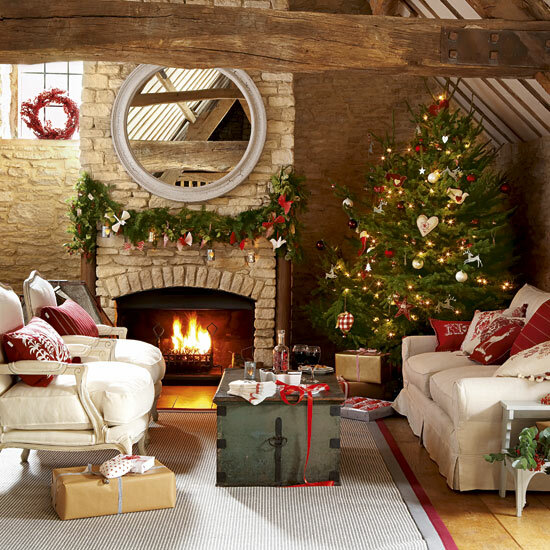 If your tree is filled with home-made decorations, a rustic theme will be perfect. 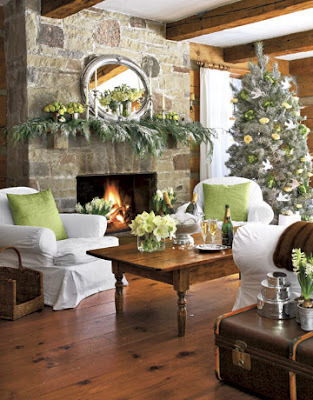 Use lots of greenery, natural twigs, and white, green and plaid ribbon. This style is perfect if you live in the country or in a house with lots of wood or stone. 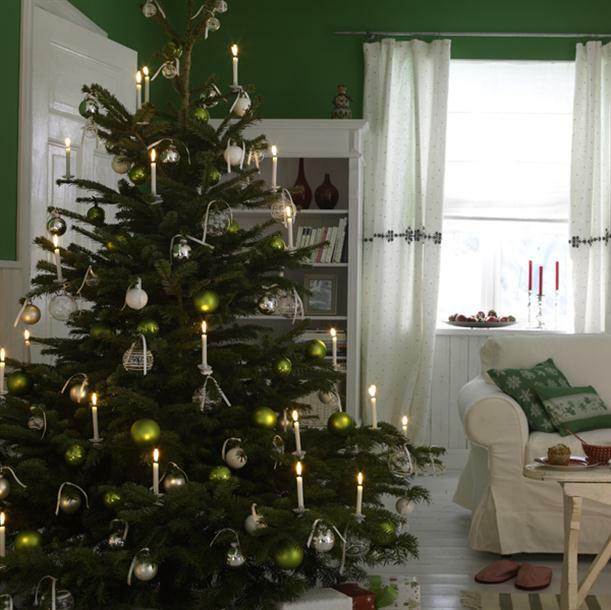 For a more sophisticated elegant home you can still use lots of greenery, but tie it with a gold, silver or white bow. If your family is older, lots of candles are nice to use as well. Even if you are a starving artist or student fighting to make ends meet, you can still decorate your home for the holidays with just a few simple accessories.